In the spirit of last week’s Caprese Salad, I’m posting a similar summer recipe. 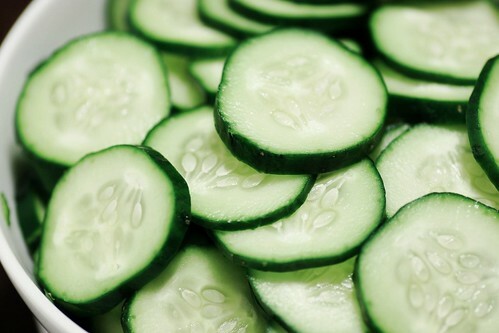 This cucumber salad is light and refreshing. It’s also incredibly easy and incredibly delicious. Serve on or with warm, toasty bread. This is a really easy recipe and is perfect for a summer picnic or a quick lunch.